Many local businesses have already been taking advantage of the excellent marketing opportunities provided by Facebook, and now the social media giant is helping local businesses reach a larger market with a new product: Verified Badges. Facebook’s Verified Badges was launched last week in the UK and it allows local businesses, defined as those with a real, physical address, to have a verified checkmark against their name in Facebook. This will allow potential customers to quickly identify real businesses in their area, rather than being inundated with adverts for websites and companies that operate too far away from them to be of any use. 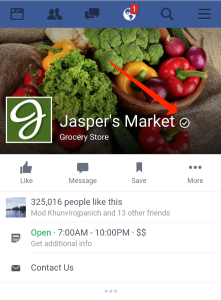 The Verified Badges are grey check marks on business profiles, to the right of the business name – see the example below of Jasper’s Market. It is similar to the blue check marks that already appear on some major brands and celebrity profiles. The main purpose of the badges is to help people find authentic companies on Facebook. There have been so many accounts of fake and fraudulent businesses operating on Facebook in recent years, and many people are now wary of using Facebook to find local traders and services. Facebook explained to Marketing Land that verified pages will rank better in Facebook search. Getting verified will not only improve trust, but will ultimately get your business seen by more people. 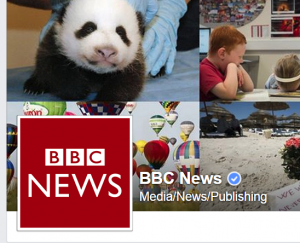 Facebook currently has around 45 million global business pages, with most businesses in the UK now represented. Every small business and independent sole trader with a Facebook account can quickly create a business page on Facebook. This has led to a problem – few people delete their business pages when they stop trading. There are thought to be hundreds of thousands of businesses listed that are no longer operating, along with many duplicate pages, where businesses have set up more than one page, usually because the first page was set up by an employee who left before creating a new admin. The page verification feature is within each page’s admin settings, in the markets where it is available. Pages can be verified by using their publicly listed telephone numbers. For those who have not displayed a telephone number, there is also a manual verification method, which involved uploading a copy of a utility bill with your business address. Manual verification is expected to take several days to process. This is a triple win for Facebook. Customers will be able to find local businesses faster, and therefore enjoy an improved user experience. Businesses should see an increase in conversions for their advertising because they will attract more clicks from people close by, and therefore they will be able to reduce ad spend. Facebook will reap the rewards of happy businesses and customers, and very likely see revenues increase. Everybody wins. Facebook recognises that small businesses are vital to its own business success. Facebook wishes to be the social media platform for small businesses. LinkedIn, Google+ and Twitter are all competing in this market, but at the moment at least, Facebook is winning more trust and more users. 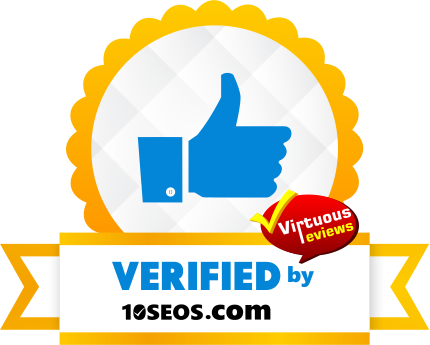 This is great for business, so get verified today. Related: What Is Google’s Page Rank And How Do I Improve It? If you need help verifying your business, contact Freelance SEO Essex today – we include this process as part of our social media management packages.